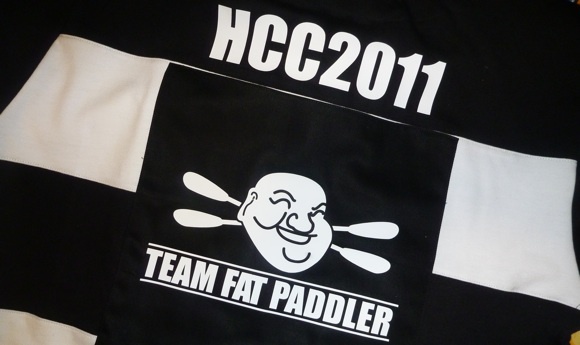 Back in 2009 when I first set a goal to do the Hawkesbury Canoe Classic, it was a very personal journey. 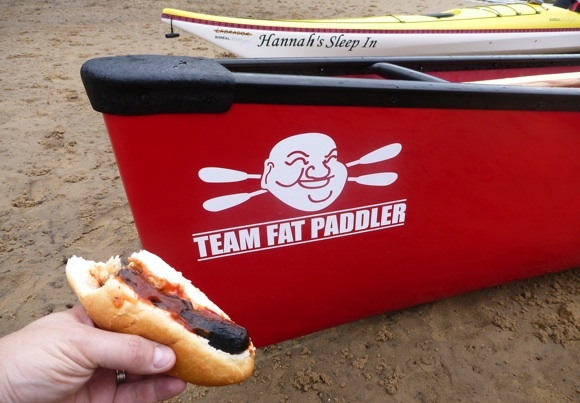 Since that time my journey has expanded to take in others, leading to the creation of Team Fat Paddler, a group of friends who embrace the core principles of inclusion, fun and charity. Together we’ve paddled, camped, surfed, had bbqs, eaten egg & bacon rolls, shared boats, rescued each other, gone swimming, jumped pits of fire and swam through pits of mud. Sometimes we’ve smashed ourselves up, taken rides in ambulances and bled together. Other times we’ve just caught up for a feed. But always, we’ve remained good friends, and raised many thousands of dollars for charity. Oh dear…….sitting here watching this awesome vid while guzzling a bottle of red and munchin on a bag of Haigs Chocolate Frogs has suddently got me feeling a little guilty…*sigh*…. Likewise Mike – slothing in front of the TV watching the rugby world cup drinking beer – when I should be out paddling for the HCC in only 2 weeks time! It’s a form of preparation FP; Carb-loading. 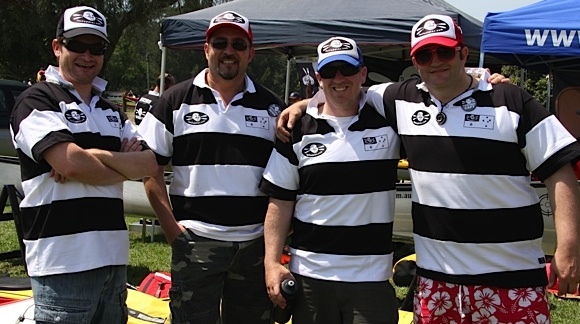 Just realised that our mighty ten are such a diverse range of sizes and body shapes; why, if there were five more of us we might have a rugby team. A pretty crap rugby team that’d be 100% out with injury the second week. 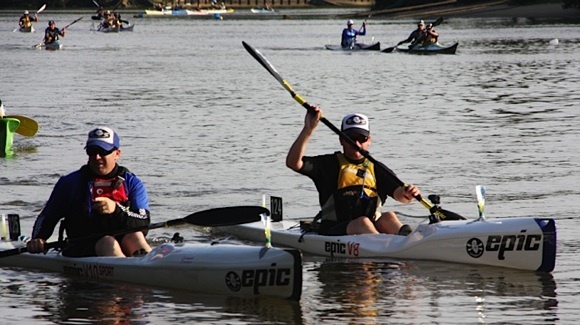 Which is something to consider: kayaking is truly a sport for any shape of man. Especially old ex-rugby-playing men! A great forward pack, but not much in the way of backs!